The post ‘Peaky Blinders’ creator Steven Knight to build £100m film studio near Birmingham appeared first on NME. 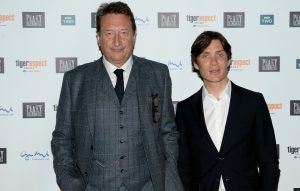 Peaky Blinders creator Steven Knight has revealed plans to build a state-of-the-art film and TV studio in the West Midlands. The fifth season of the BAFTA-winning drama is set to return to screens this summer, with Knight already at work writing its sixth instalment. Ahead of the next chapter’s arrival, Knight has confirmed that he’s working on a £100m studio near Birmingham, which will accommodate both big screen blockbusters and projects on a much smaller scale. He’s said to have started looking into the idea four years ago. “So many American and international producers want to shoot in the UK because of our crew base and tax incentives,” he told The Observer. “Many high-profile production companies are begging for [studio] space. Knight aims to open the ambitious space – boasting six sound stages and post-production facilities – within two-and-a-half years. An official announcement due later in 2019. Meanwhile, actor Vicky McClure recently revealed that she has been turned down for every series of Peaky Blinders. “Although work is regular, it doesn’t always go my way,” she said. In other news, BBC producers have issued a Peaky Blinders-themed bar with a legal warning. Makers of the show said that the Manchester establishment “has no authorisation to use the Peaky Blinders television brand”.